People and their mobile devices have become inseparable. Therefore, human lives intertwine with phones which they use to connect with others, to retrieve information and for entertainment. 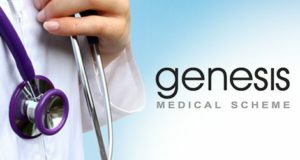 Genesis now offers a Genesis app which helps medical staff connect with their customers, and to assist with their day to day tasks such as keeping health records, patient management and communications, among others. Because smartphones offer computing and communication features from a hand-held device, healthcare professionals use these useful apps for their own communicating and administration. The Genesis app for Smartphones is available for download in the Google Play Store so that you can enhance your overall service experience. Genesis designed the app for members so as to improve their entire experience with Genesis Medical Scheme. They happen to be a leading medical aid scheme in South Africa. Genesis started up in in 1995 and today they are rated as one of the top 5 most successful medical aids in South Africa. They provide members with valuable products and services. The Genesis App for smartphones is free. It’s ideal for allowing members to stay up to date with all kinds of medical aid information. You can check all your membership details without being told to hold on. It is useful that all your dependents can download the app so that they can have access to the information they need themselves. They’ll just require the member’s membership number and password once-off to log in. One of the features of the Genesis app is the convenient smartphone electronic membership card. No longer do you need to carry an additional medical aid membership card around with you. The app will display the usual information such as member’s number, ID number, primary members name and dependent’s names, etc. Members can verify their membership details; they can check out all their benefits, check their medical savings balance or they can contact the scheme by email or phone. The central member can confirm their membership number by sending an SMS with the word GMED SAVE to 31022. A return SMS will be received showing the balance of their savings account as well as having their membership number confirmed. This electronic membership card is one of the ways Genesis wants their members to enjoy the convenience. Some of the major private hospital groups such as Netcare, Life Health Care and others accept. A personalised tool which members can use to glean information on their medical aid 24/7. You can call ER24’s medical helpline or emergency services directly from the app. Get a hospital admission reference number. Visit social media platforms such as Facebook and Twitter etc. This convenient mobile App with the electronic membership card is for all Genesis Medical Scheme members to simply download, ensuring all members have an enhanced membership experience.